The Dubai-based private equity firm Abraaj Group, which filed for liquidation in June after its founder was accused of misusing investor funds earlier this year, has not renewed its partnership with Art Dubai, the fair's organisers have confirmed. 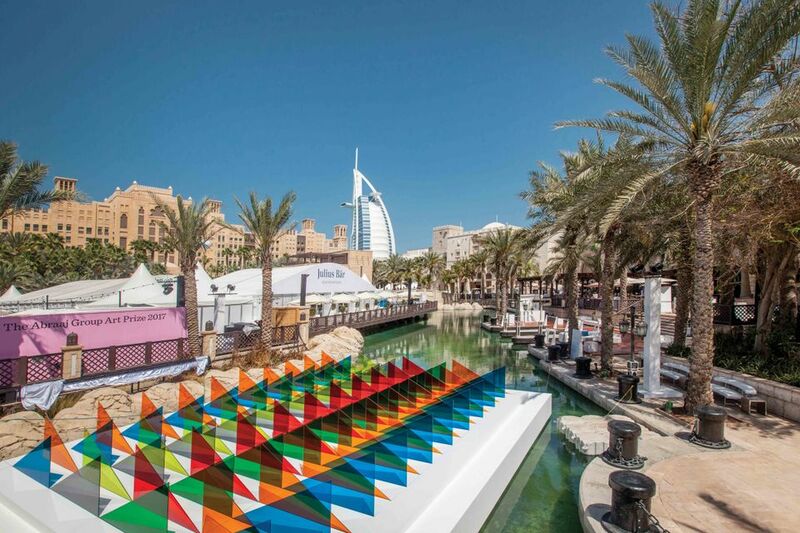 Abraaj, considered to have laid the foundation for corporate patronage in the region, has been Art Dubai’s main sponsor since the first event in 2007. The fair's new partners will be announced in due course, a spokeswoman says. The annual Abraaj Group Art Prize, which began in 2009 as a ten-year project to support talented artists from the Middle East, North Africa and South Asia, also came to an end this year. Over the course of the past decade, 30 works have been created by winning and shortlisted artists, who were awarded $100,000 and $10,000 respectively, to produce new works for the Abraaj Group Art Prize collection. Previous winners include Lawrence Abu Hamdan, Rana Begum, Yto Barrada and Kader Attia. Plans to lend the works long-term to the Jameel Arts Centre, which opens on 11 November, have been shelved, according to a spokeswoman for Art Dubai. “It is our current understanding that conversations around the future of the Abraaj Group Art Prize works are on hold whilst the Abraaj Group’s future is resolved,” she says. The brochure also makes a point of listing the museums and biennials to which Abraaj has loaned the Abraaj Group Art Prize collection, including the New Museum in New York, the Museum of Contemporary Art Chicago, the Whitworth Art Gallery in Manchester, the Sharjah Biennial and the Venice Biennale. Abraaj, which managed around $14bn of investments at its peak, filed for provisional liquidation in June. Confidence in the firm crashed after it was accused of misusing investor money held in its $1bn healthcare fund to support the business of its founder, Arif Naqvi. The Bill and Melinda Gates Foundation and the World Bank were reportedly among the clients who raised concerns. The Abraaj Group could not be reached for comment (the London office phone number is no longer operational), but the firm and Naqvi deny any wrongdoing. Abraaj is now undergoing a court-supervised restructuring and is trying to sell off parts of the business to repay an estimated $1bn of debt. More than ten private equity firms have reportedly tendered bids for a slice of the embattled company. As for the UAE's art scene, the collapse of Abraaj delivers a devastating blow, with few private backers in Dubai outside of the ruling Al Maktoum family. Naqvi had positioned himself as a philanthropist and his role as a collector of regional and international art is well known. In March, Art Dubai announced a new partnership with the Misk Art Institute, a new organisation established by Crown Prince Mohammed Bin Salman bin Abdulaziz Al Saud of Saudi Arabia.